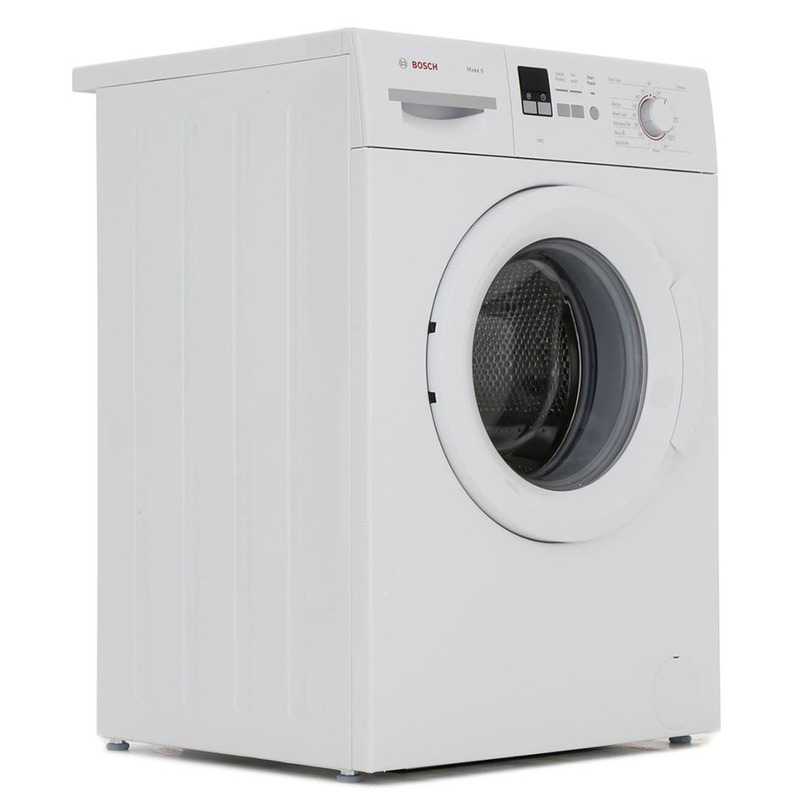 This Bosch Washing Machine offers options for fast and efficient washing, this Washing Machine is ideal for larger families who want their clothes cleaned quickly and easily. 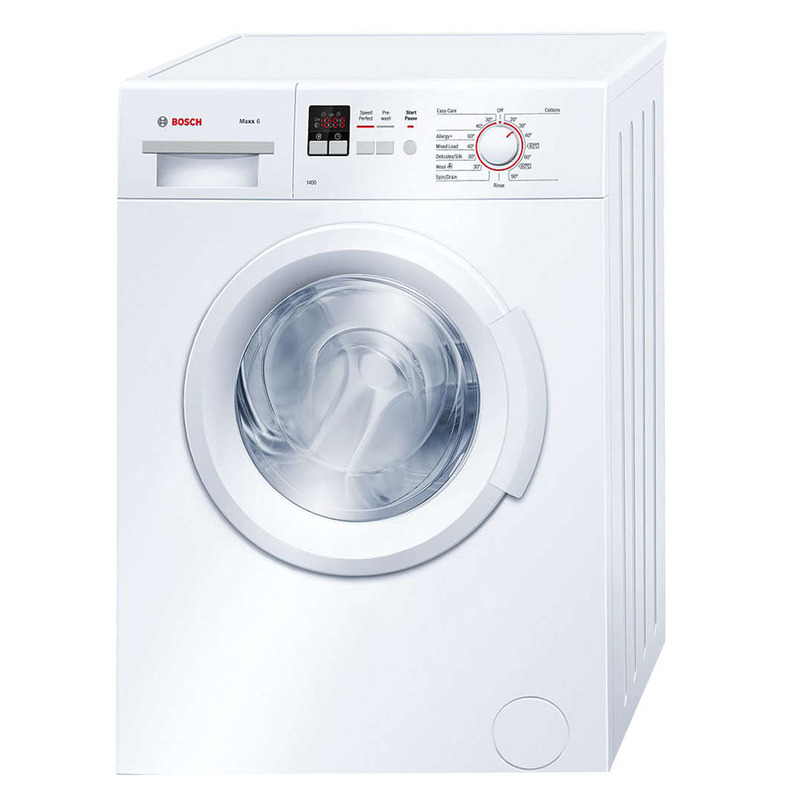 Helpful features and a very impressive A+++ for energy efficiency make this Bosch washing machine a powerful and economical option for all your laundry needs. Along with 16 clothes care programmes this model also features Bosch’s innovative SpeedPerfect option which allows you to reduce cycle times by up to 40%. This will come in handy when you need garments clean in a hurry, or if you’d just like to save on energy. 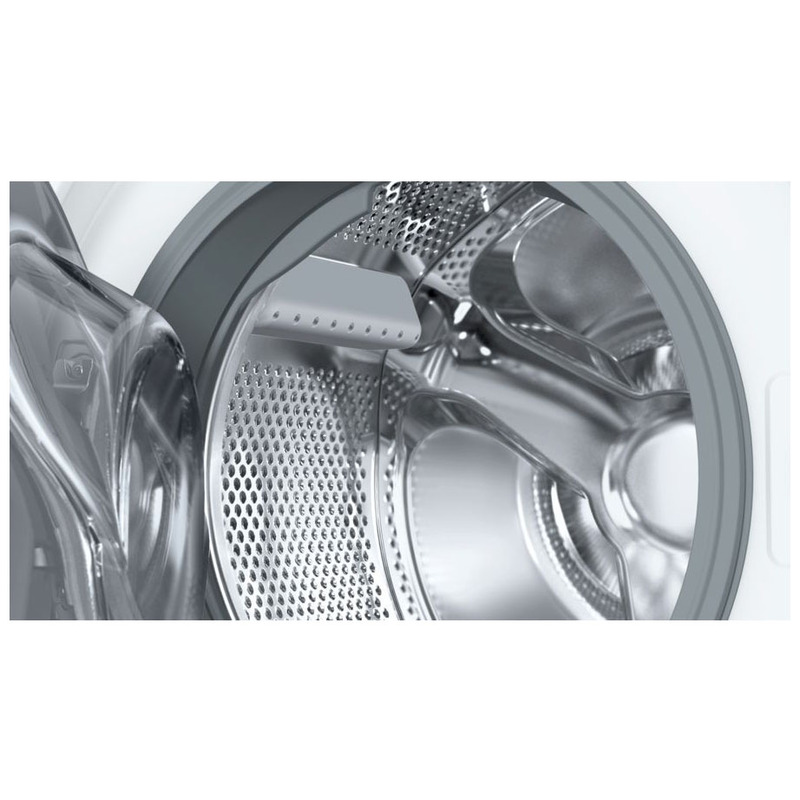 Easy to clean control dials select wash programmes, temperature and special programmes which include an allergy plus cycle. The European Centre for Allergy Research Foundation (ECARF) has honoured this model with the ECARF Seal of Quality for products and services suitable for allergy sufferers. Fitted with a special “Sensitive” cycle, this machine maintains a higher temperature for longer and runs an additional rinse cycle, to reduce allergy-causing residue. There is also a “water plus” option, which allows an additional rinse cycle to be added, so your clothes will always come out clean, fresh and free of allergens. A timer delay and a time remaining display keeps you in control of your washing at all times. And for further peace of mind, the automatic load stabilisation and water protection system protects even the most delicate clothes, while also expertly preventing flooding. Bosch guarantees that if an appliance is discontinued, its major components will be available for at least 10 years afterwards in the event of a part needing replacement.